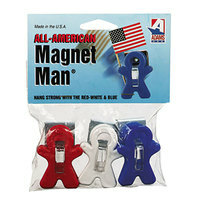 Our selection of paper clips includes colorful options as well as plain metal. Colored paper clips are great for color-coded filing systems that can help you find what you’re looking for more quickly. They can also add a fun flair to your everyday office supplies. Traditional paper clips are great for businesses that require a more professional standard. Also make sure to check out other great items from Acco, Adams Manufacturing, Advantus, Avery, Charles Leonard, GEM and Officemate. Paper fasteners are perfect for sensitive documents, such as healthcare records, because they solve the problem of papers sliding out of standard filing folders. By keeping your papers in a folder, you can cover sensitive information, and these fasteners simply ensure that the papers won’t fall out if dropped. Of course, we also carry several styles of regular paper clips and binder clips, so you’re sure to find the product you need for your business. For other office essentials, take a look at our sticky notes, writing pads, and printer paper. If you're wondering where to buy adams manufacturing paper clips and paper fasteners, we have a large selection of adams manufacturing paper clips and paper fasteners for sale at the lowest prices.